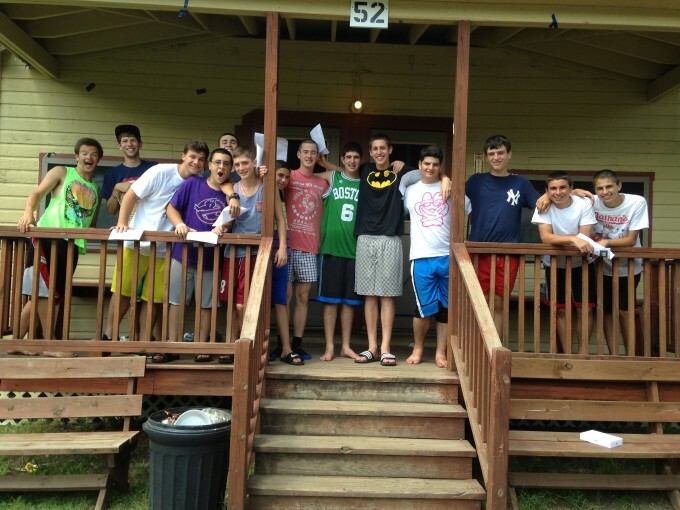 Machon welcomed in many new chanichim this morning for the start of our second session! After all of our full summer campers spent yesterday at the movies, at a picnic in the park and bowling, they were ready for new friends to arrive. We had a great carnival and BBQ on tzad aleph, many peulot tzrif, a kareoke battle to introduce the Machon madrichim, learned our edah song and had the chance to play many sports and games on tzad bet. It has been sunny all day and Machon is all smiles. Take a look at some of the great peulot tzrif that went on today. Some of the boys learned a pirate song while the girls did tie dye, sock art, and collaged. It was a very successful opening day! We can’t wait for this session filled with our Machon/Amitzim play, trip to Boston, kishroniya and so much more.